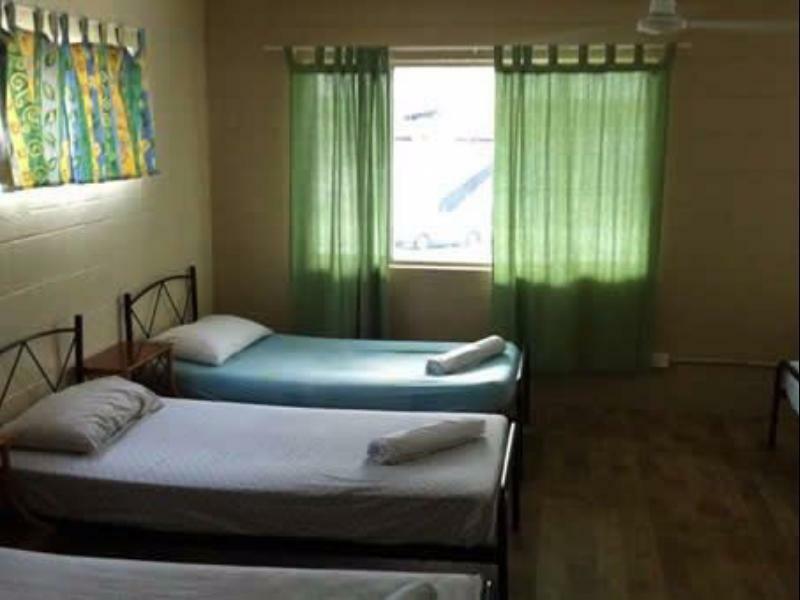 يشكل فندق Reef Backpackers Hotel بموقعه الممتاز في منطقة شواطئ, سياحة, مطاعم ضمن مدينة كيرنز، مكاناً ملائماً لقضاء العطلة بعيداً عن عجقة أيام العمل. لا يبعد الفندق كثيراً عن مركز المدينة، فهو يقع على بعد 0.5 km منها. في حين يستغرق الطريق منها إلى المطار حوالي 10 دقيقة. بالنسبة لمن يريد الخروج، هذه بعض المعالم السياحية المتوفرة للزوار Centre of Contemporary Arts, JUTE Theatre Company, كايرنز. يعمل Reef Backpackers Hotel على ضمان إقامة مريحة لضيوفه من خلال خدماته الممتازة وحسن ضيافته. تتضمن الميزات الرئيسية في هذا الفندق: واي فاي مجاني في جميع الغرف, خدمة التنظيف يوميًا, خدمة غسيل ذاتية, تسجيل وصول/خروج سريع, تخزين الأمتعة. ادخل إلى واحدة من الغرف 18 وتخلص من عناء نهار طويل بمساعدة مجموعة كبيرة من الخدمات كمثل اتصال لاسلكي بالإنترنت, اتصال لاسلكي بشبكة الإنترنت (مجاني), غرف لغير المدخنين, مكيف هواء, مكتب الموجودة في بعض الغرف. سواء كنت من محبي الرياضة أو كنت تتطلع لتفريغ عناء نهار صعب، ستجد خدمات ذات مستوى عالي بانتظارك كمثل حمام سباحة خارجي, بلياردو, كرة الطاولة, حديقة, غرفة ألعاب. مهما كانت أسبابك لزيارة كيرنز، فإن Reef Backpackers Hotel هو الخيار الأفضل لإقامة مثيرة وممتعة. They might hit you with additional charges which you notice days after you have left. 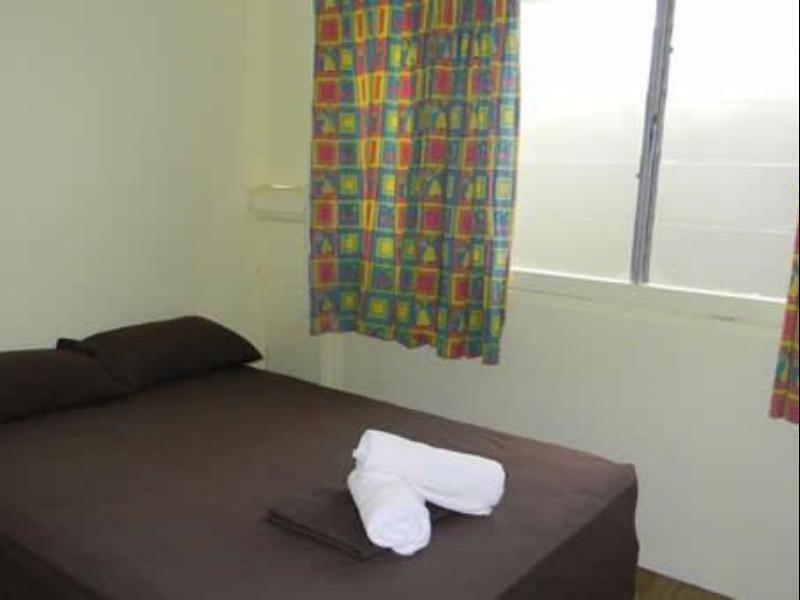 The hostel is the cheapest you can get in Cairns and I definitely know why now! This hostel is ready to be closed. The bathrooms were absolutely dirty, rubbish, toilet paper and wet used towels all over. No hot showers, only cold water. The toilet paper is stored on top of the filthy bin and there was bird poo on it!! !The kitchen is dirty and filthy, cockroaches everywhere (which is not unusual, I know and it's not what I'm complaining about). Brown Water dripping from the ceiling in the kitchen. Matress in the room mouldy. People who are staying long term taking drugs next door and everywhere else in the hostel, getting very aggressive during the night. It was a nightmare. Even the price I paid for it was too much. I stayed one night and complained the next morning. It is overall NOT acceptable. I have some very disgusting pictures too, but I guess I can't upload them. What a shame. Be warned backpackers! I went there even though I've read some bad reviews. Big mistake. Looks really good in picturew but in real life it is almost gallring apart. Not good cleaned (or at all), felt lika a cold prison/old hospital and really needed a renovation. The hangout area was dark and the furnitures looked like they were ripped apart or found on the streets. In our room we had an exit door that couldn't be shut so it was like 1-2 centimeter opened towards the street. When me and my friend wanted to unbook (because I paid beforehand and booked 5 nights) we wouldn't get money back and would have to pay 100$ instead. Worst hostel I stayed at and I've stayed in plenty! Would not recommend this hostel to anyone. If you have lots of luggage, you need to carry them upstairs. Pool wifi Reception close at12-1600. But you can phone them. One of the worst backpacker hostel I stay! Rooms are dirty, kitchen is dirty, but it's cheap. The air-condition stop working in the middle of the night so you wake up all sweaty. Great service but dirty sheets. No wifi that I could find. Room was average and faced a wall. Reception was good, my room was clean, as I arrived just few minutes after the reception closure so I had no pillow and couldn't ask for one. the locker in the dorm was all brocken, so there was no locker. the kitchen was realy dirty with bugs every where so I didn't use it. The shower's floor was like black, not very well clined. Even not the outside area and tables. There are a lot of clothes dryer strings, space for everybody. The hostel was full booked and ther was only 2 times 1$ tost of 24 slices for all (60 peoples? ), that means after 25 minutes it was empty and not filled again as "there was two big toasts, it should be enought, there is no more". There was an "Free pizza" evening at Woolshed, but we get only one slice of "pizza" for each, pizza was dought with tomato and cheese. Free wireless was nice and worked well, even in my dorm. I didn't try the swimming pool as the lagoon is close. Good location. Friendly, helpful staff. Reasonably cheap. This place badly needs a good clean. Bathrooms and kitchen were filthy. Furniture in common area looked like it had been found on the street. Gaps in the wall of our room were stuffed with newspaper and the window was broken. Also there was no sound insulation and a lot of people were talking loundly and drinking late at night. The free breakfast is some cornflakes. We weren't expecting anything too fancy but it's definitely the dirtiest hostel I've stayed in. It's bearable if there's nowhere else in town available but otherwise there seemed to be nicer places for the same price. Le backpack est très bien situé. L'ambiance est conviviale et le personnel sympa et arrangeant. Le matin, le petit dèj est offert et l'après-midi, vous pouvez profiter de la piscine. Ich habe mich im genannten Hostel sehr Wohlgefühlt. In der Küche war alles vorhanden was man brauchte und es gab immer kostenlos Tee oder Kaffee... Super! Auch das Zimmer war sehr sauber und hatte alles was man braucht! Der Kühlschrank war besonders praktisch! Würde immer wieder in dieses Hostel!